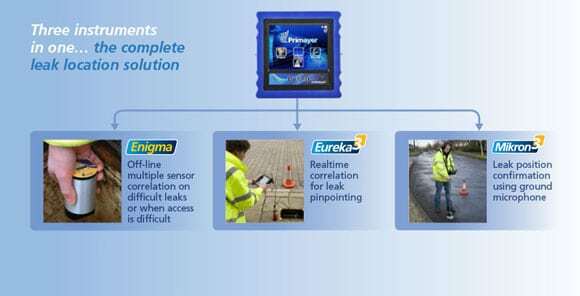 Enigma-hyQ is a variant of the standard Enigma multi-point correlation logger that has been further optimised for leak location in large diameter pipes and over longer distances. 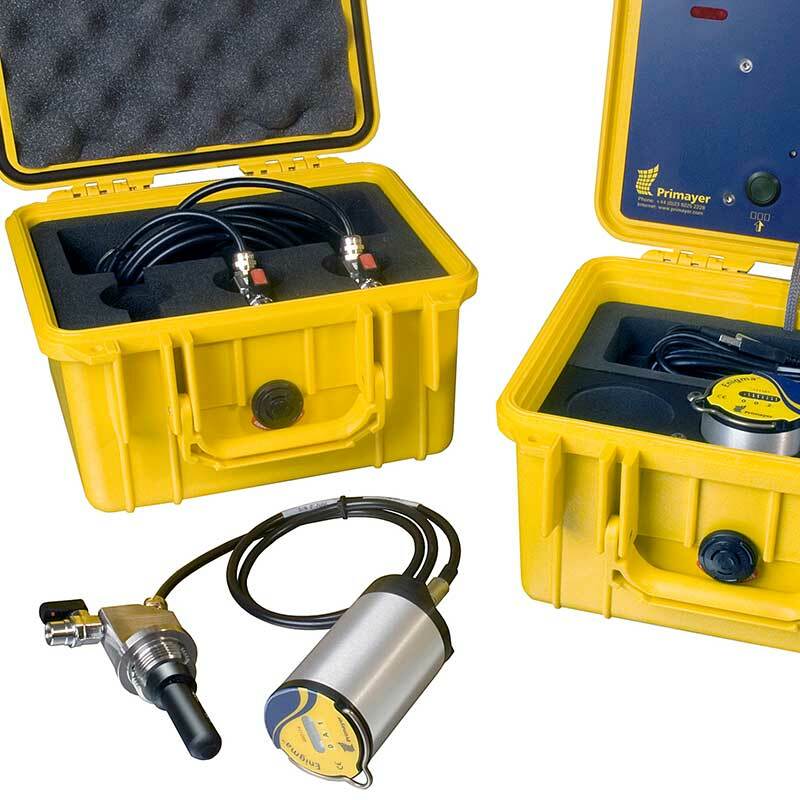 A high sensitivity hydrophone is used (directly detects the pressure wave in the water) coupled with the application of narrow band filtering. 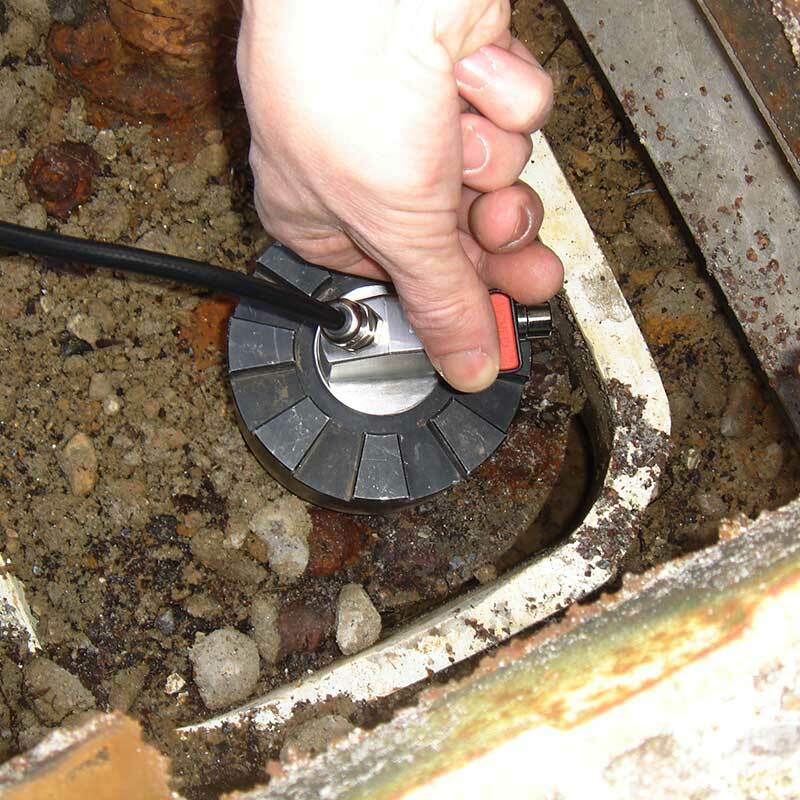 Enigma-hyQ loggers are deployed during normal working hours at multiple insertion points along the pipe. Enigma-hyQ gives an optimum performance by recording the leak sound at night – when background acoustic noise is lowest and water pressure is usually highest. Infrared and USB communications to ensure rapid operation. Enigma loggers record the actual leak sound. When retrieved the leak sound is transferred to the host software where it is processed to display all leak positions between loggers. The Enigma has a proven track record of finding leaks that competing products cannot find. It provides the optimum in correlation technologies available.